THERE are grim health predictions for Australia’s ageing population a decade from now, particularly for people living in rural areas where health services are already lagging behind. A report by the Royal Flying Doctor Service estimates the population in 2028 will nudge 30 million and 15.6 per cent more rural Australians will be diagnosed with chronic illness including cancer. There will be a 22 per cent increase in the number of mental illness cases in rural areas in that period, while the impact on the health system from neurological conditions, including Alzheimer’s diseases, will increase by almost 50 per cent. 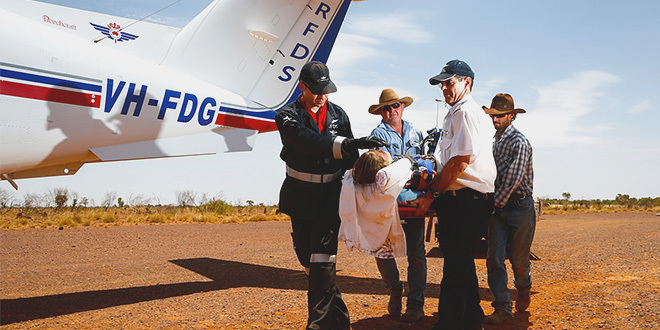 RFDS chief executive officer Martin Laverty said he feared health services for regional Australians would only get worse unless preventative action was taken. “The future doesn’t look terrific,” he told ABC radio in the remote Kimberley region of Western Australia. “But if we encourage people to better look after their health and we ensure more doctors, nurses and remote allied health professionals in remote and country Australia we can stop these statistics from ever being achieved. Dr Laverty said the report “Looking Ahead: Responding to health needs of country Australia in 2028” contained details of what needed to be done. “For example, in 2028 there is projected to be less than a fifth of the number of general practitioners in remote communities as compared to those in metropolitan areas, just a twelfth of the number of physiotherapists, half the number of pharmacists and only a third of the number of psychologists,” the report stated. Dr Laverty said part of the solution lay in encouraging more health professionals to live in country Australia. “Government is aware that if you provide opportunities for training and education for health professionals in country areas they are more likely to stay in those communities to provide services during their working lives,” he said. Dr Laverty said there was a “great focus” on preventing heart attack and cardiovascular disease in the bush, and ensuring if a heart attack occurred there was access to the right service, particularly emergency service provided by the RFDS. “When governments invest, when they put effort they can actually achieve good outcomes,” he said. “In ten years from now we actually forecast there will be a twenty-three per cent drop in the impact of cardiovascular disease in remote Australia.